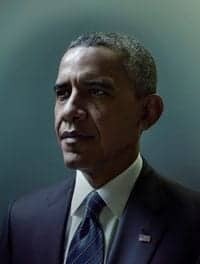 On June 25 a group of about 140 religious leaders and advocates for religious freedom sent a letter to President Barack Obama to try and secure an exemption for faith-based groups in a pending executive order which aims to protect LGBT government contract workers from discrimination. Organized by the Institutional Religious Freedom Alliance, the letter does not endorse the pending order as the best way to curtail work discrimination. It also recommends the religious freedom protections that the Senate accepted in November 2013’s Employment Non-Discrimination Act (ENDA) bill, but requests additional protections. Although the House announced it would not vote on the legislation, the June 25 letter suggests that Obama adopt some of the religious exemption language from the bill. "Often are the best-qualified applicants for federal contracts or subcontracts. It would be counterproductive to bar them from offering their services to the federal government simply because of their legally protected religious convictions; it would be wrong to require them to violate those legally protected convictions in order to be eligible to receive federal contracts. Their exclusion from federal contracting would be diametrically opposed to the Administration's commitment to having 'all hands on deck' in the fight against poverty and other dire social problems." “If you get a federal grant, you can’t use that grant money to proselytize to the people you help and you can’t discriminate against them — or against the people you hire — on the basis of their religion." Some of the religious leaders who signed the letter include: Leith Anderson, president of the National Association of Evangelicals; Rev. Samuel Rodriguez, president of the National Christian Hispanic Leadership Conference and Hispanic Evangelical Association; Joel Hunter, senior pastor of Northland-A Church Distributed; Franklin Graham, president and CEO of Samaritan's Purse and The Billy Graham Evangelistic Association; and George Wood, general superintendent of the Assemblies of God. Additionally, the letter was signed – personally,rather than on behalf of their organizations – by the presidents of numerous Christian colleges, including Colorado Christian University, Houghton College, Biola University, Calvin College, Moody Bible Institute, and Denver Seminary.